You can’t step very far outside your home without encountering a plant. For many of us, they can also be found in most of our sunnier windows. This public domain collection of plant drawings comes from a myriad of sources but primarily vintage children’s books and magazines. 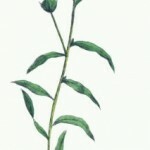 The Plant Drawings category, however, is not the only place on Reusable Art where you can find plant images. Flowers and flowering plants are filed under Flower Images, herbs can be found under Herb Drawings in the Food section and trees can be found in the Tree Images category. Hopefully, we’ve got you covered for all of your plant drawing needs. If not, check back again sometime soon as we will continually be adding public domain plant drawings as we discover them. 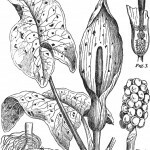 Vintage botanical jack in the pulpit drawing. These fascinating plants have a number of different names for the species identified as Arum maculatum. Black and white vintage banana tree drawing from 1910. Public domain encyclopedia plant image just waiting for your creativity. 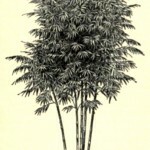 Super black and white bamboo plant drawing from a 1910 encyclopedia. Super cool plant and super cool illustration for your creative projects. 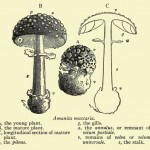 Vintage amanita mushroom drawing from 1911 showing the growth cycle of the mushroom and all of its parts. 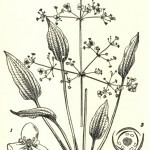 Vintage drawing of a water plantain plant from 1911. Black and white botanical print from a famous encyclopedia. 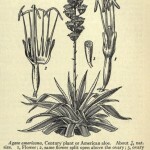 Vintage drawing of an agave plant from 1911. Great black and white botanical image for mixed media art with facing page bleed through. Public domain tobacco plant drawing from 1779. 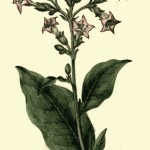 This hand-painted engraving depicts the tobacco plant in flower. 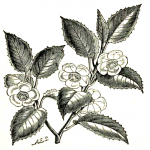 Vintage, black and white tea plant drawing. Delicate white flowers and numerous leaves on a branch. Who knew such tastiness came from such a pretty plant? 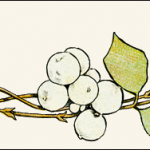 Vintage white berries drawing from the talented artist Ida Waugh. Three sprigs of greenery and berries that are drawn horizontally across the page. 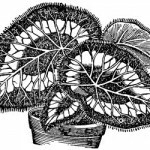 Vintage drawing of a Rex begonia plant. 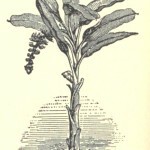 Vintage botanical print of a branch from a flax plant in flower. 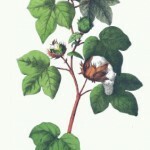 Botanical print displaying the life cycle of cotton plants.